Backloading is the new trend in the moving industry that is creating quite a buzz because of the various advantages it presents to the clients. It has become a preferred service to serve the moving needs of people, as it is competent and steadfast. 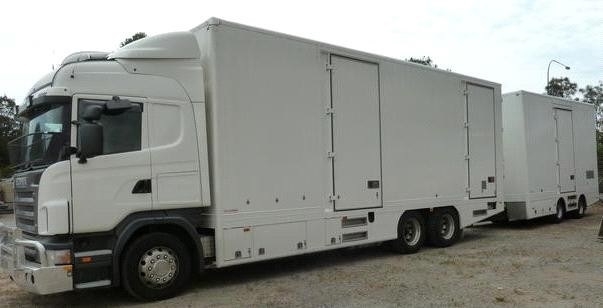 With the help of backloading, removal companies can maximize their downtime and the client just needs to pay for the space that is used by their boxes and furniture in the truck used for the same. Today more than eighty percent of the Australian population chooses backloading as compared to other moving services available for which one needs to wait, at the same time pay a lot more. One such moving company that offers exceptional backloading service is The Backloading Company. Offering backloading options from Cairns to Brisbane. Including Bowen, Townsville, Mackay, Emerald, Rockhampton, Gladstone, Bundaberg, Hervey Bay, Maryborough, Sunshine Coast. Also included are most central Queensland towns. The finest Australian removal company is the top-rated service provider in its league. As the name suggests, The Backloading Company specializes in backloading and covers all parts of Australia. They have many trucks in different sizes to take care of their client's belongings. Very few moving companies provide backloading rates for returning trucks and this company is one of them. Along with local removals, the two main services provided by The Backloading Company are Interstate Backloading and Interstate Removal. They are consistent in providing regular transportation services throughout Australia and the growing demand for backloading service from Brisbane to Cairns gave rise to its takeoff. If one is moving from Brisbane to Cairns, The Backloading Company provides dedicated interstate removal as well as backloading removals to make the move extremely smooth for the client. It is the best interstate moving alternative to the highly expensive freight costs and when one chooses the best in the industry, they can be rest assured to receive competitive prices. This is mainly because The Backloading Company, unlike other removal companies, own and operate their own trucks used for backloading and other purposes. For interstate furniture transport, backloading is becoming the most favored service choice. In earlier times, the client had to pay for the entire truck and also, pay for its trip back. But with backload, the client only pays for the space the furniture occupies and only for one way trip. The Backloading Company can offer this efficiently because it has a an array of vehicles that travel everyday throughout Australia, and the long list of their satisfied clients are sure to use these vehicles on its way back. The Backloading Company has been growing and flourishing into the best removal company in Australia, now including Cairns removalists. Every removal company needs to have a team of excellent interstate removalists and so does The Backloading Company. Their main aim is to provide the most efficient Interstate Backloading and Removal in order to satisfy the various needs of their clients. The backloading service between the two states has made it extremely convenient for people to move their furniture between Brisbane and Cairns without any difficulty.